The Liberal Arts Community blends studying and socializing to help you bond with students and faculty, explore liberal arts, and learn how to make your mark. 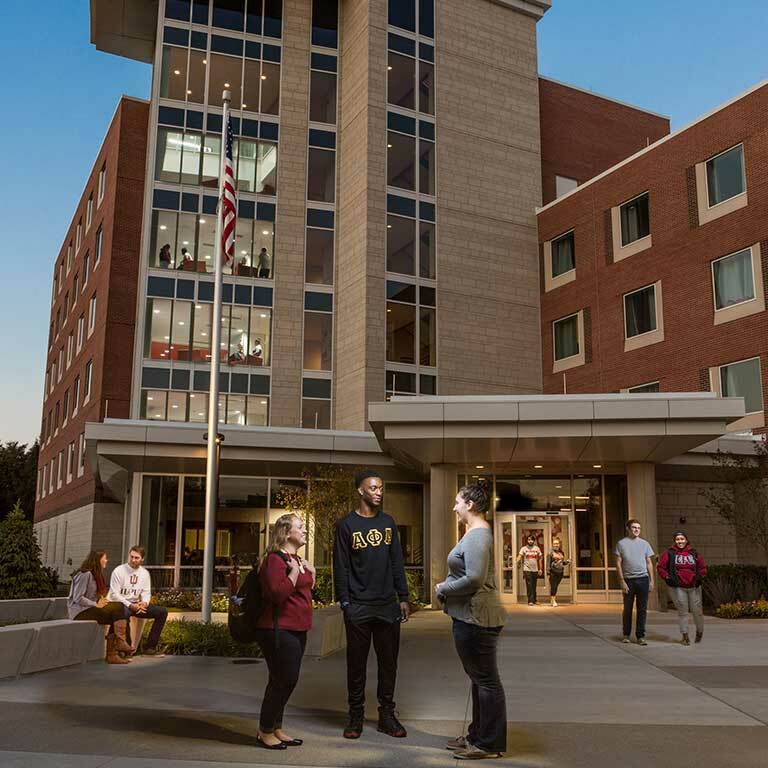 Located in North Hall, the community offers academic, service, and social activities on campus and in Indianapolis. You’ll explore your values and goals, learn about resources at IUPUI, develop leadership skills, and grow as a student, citizen, and future professional. And you’ll interact often with faculty and staff—for example, by working with faculty on research and service projects. You can apply to live here if you’re an undergraduate student, you’re enrolled in classes, and you’ve been admitted to the School of Liberal Arts as a direct admit or as a current IUPUI student. Explore a topic that interests you, make friends, and set yourself up for success in one of IUPUI’s Themed Learning Communities (TLCs). Every fall the School of Liberal Arts offers several TLCs for first-year students. Each TLC includes three or four courses connected by a theme, like gender, language, and power, or justice and democracy. One of the courses is a first-year seminar that helps you transition to college life. Each year a few TLCs are connected to the IUPUI Summer Bridge Program. You can enroll in a Bridge TLC to jump-start your college career. At your IUPUI orientation, ask your advisor which TLC is best for you.